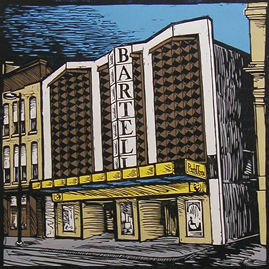 The 8th Annual Bartell Theatre Awards came and went and you can see the event page for the event details. The winners for each category are listed first and in italics below. Ball Drop Blitz – Mercury Players, Know Better, OUT!Cast Theatre – Francisco Torres, Simone LaPierre, Sarita Helm – Producers; Bonnie Balke, Steve Noll – Executive Producers. The Whipping Man– Caleb’s leg gets cut off! Dana Pellebon, Director; Phil Koenig – Lighting.